Proudly announcing our 2015-2016 awards recipients! 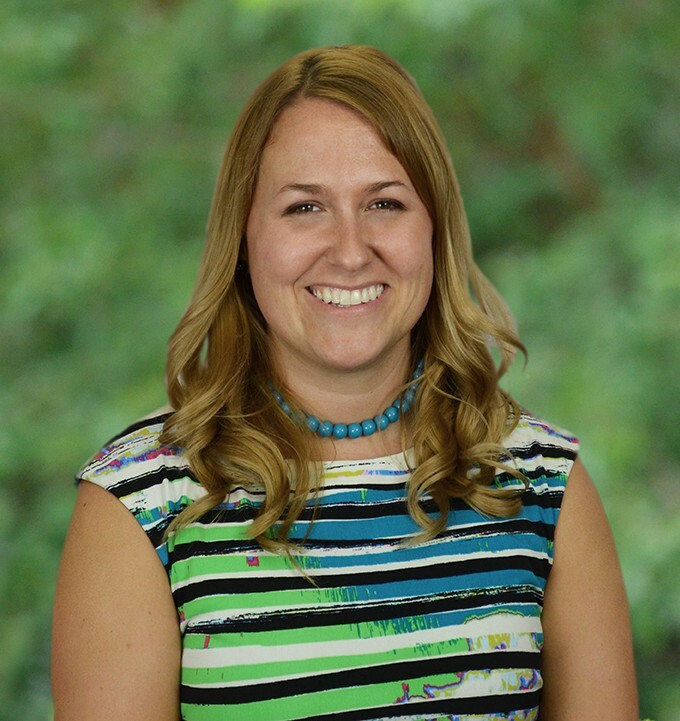 Laura Perkins is the director of membership & chapter services. We are excited to announce the recipients of the 2015-2016 Awards for Education Excellence given by Kappa Delta Pi. The Program Awards recognize chapters for demonstrating excellence in one of six program areas: service, professional development, fundraising, membership, communication, and education for sustainable development. These awards are designed for chapters that have exceptional programming and may or may not qualify for the Achieving Chapter Excellence (ACE) Award. All award recipients will be formally recognized at Convocation 2017 in Pittsburgh, PA (October 26-28, 2017) as well as with a certificate and a spot on the KDP website. Congratulations to all of our award recipients, and we look forward to continuing to recognize you in all of your successes along the way! Fall is my favorite season of the year. The changing of the leaves, cooler temperatures that require hooded sweatshirts, and both football and the school year are in full swing. These are things I am thankful for each October. However, more than these things, I am thankful for the wonderful leaders in the field of education that I have the pleasure of working with each and every day. Each biennium at KDP, we set aside the weeks leading up to Convocation as Honor Your Counselor Month. Throughout the month of October, chapter members can honor their Counselor(s) by completing the “We Couldn’t BEE More Thankful” donation form. By donating to KDP in honor of your Counselor, you will purchase your counselor a $5 Starbucks Gift Card and support our Counselor appreciation efforts, (including light snacks and a special Counselor room at Convo 2015 in Orlando, Florida). We look forward to partnering with you to show our dedicated, volunteer Counselors how much we appreciate all they do for our individual KDP chapters and also the entire Society. From all of us here at Headquarters, thank you! Note: If a donation isn’t an option right now, check out the list of other ideas to Honor Your Counselor posted here. Chapin Schnick is Northeast Regional Chapter Coordinator at Kappa Delta Pi. Stevenson University Members are Real Hallo-winners! A tiger, a witch, and a robot walk into a library . . .
No, it’s not the beginning of a joke. It’s what happens when members of the Stevenson University Kappa Delta Pi chapter host their annual Boo Bash at the Finksburg Branch of the Carroll County Public Library in Maryland. Each year, these creative and caring students develop and present a Halloween program for Finksburg area residents. And the kids love it. Participants are invited to come to the event in costume. (Hence the tiger, the witch, and the robot from the beginning of this post.) Members of Kappa Delta Pi pick favorite Halloween titles to read out loud for a fun and funny story time. And there is always a host of easy and interesting activities for the young ones. 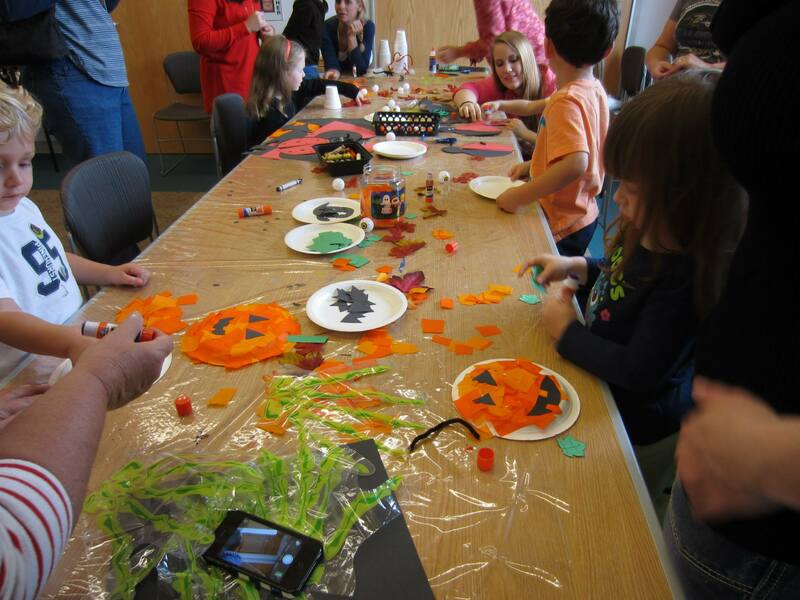 Ranging from paper plate jack o’ lanterns to lollipop ghosts, the children love the opportunity to make festive crafts. These students provide a great service by coordinating this program at the library. First, the event proves to be a good draw to get folks into the branch. 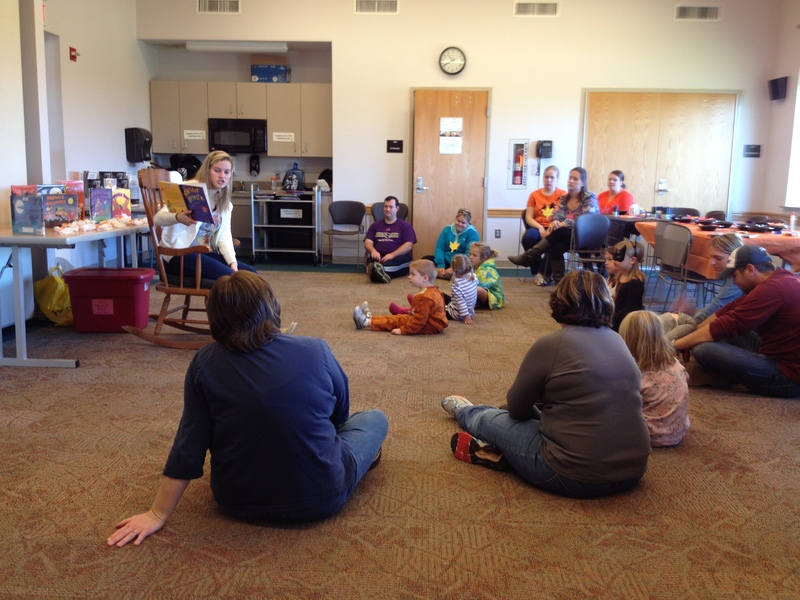 Who doesn’t love a festive autumn story time? And once there, patrons can begin to see (if they didn’t already know) how the modern library is so much more than just books. It’s story times and crafts and gathering together to enjoy the season. It’s family and friends cherishing time spent together. It’s conscientious college students volunteering their time to help bring laughter and a love of reading to the neighborhood. It’s a focal point for the community to gather and to enjoy. And so the library is truly grateful for the work of Kappa Delta Pi. We are thankful for their partnership and for the joy they spread to the community. Halloween may be the season for scares, but it’s smiles that are handed out when members of Kappa Delta Pi come to the Finksburg Branch. 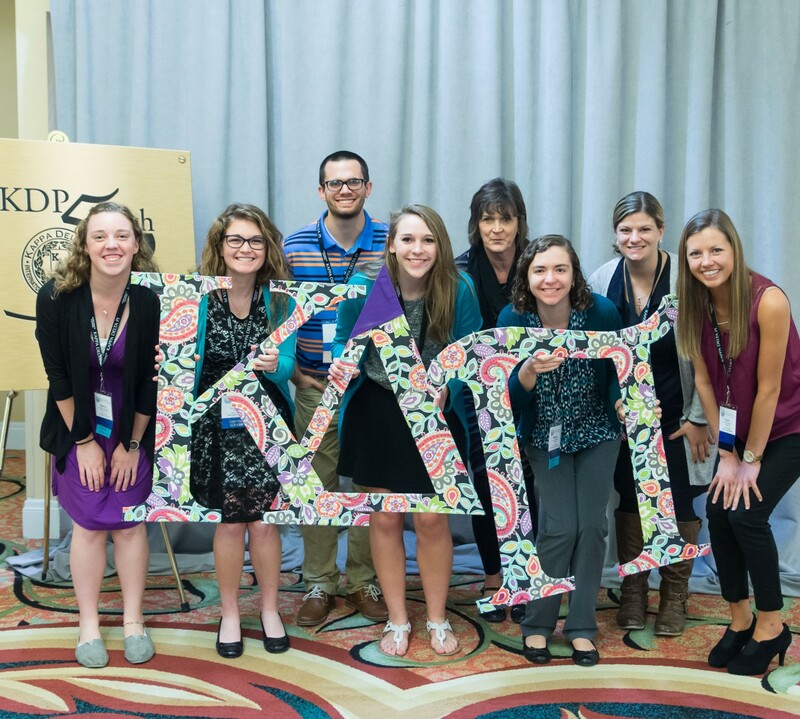 The Psi Omicron Chapter of Kappa Delta Pi is being honored at KDP’s 50th Biennial Convocation for multiple Chapter Program Awards from 2013-2014 and 2014-2015. They are also one of 25 chapters receiving the Achieving Chapter Excellence (ACE) Award. Bryan Hissong is the Manager of the Finksburg Branch Library in Carroll County, Maryland.